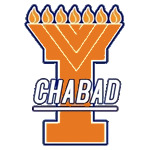 It is with tremendous excitement and joy that we announce the NEW Illini Chabad Chai Club. For those of us who have attended meaningful holiday celebrations, enjoyed delicious Friday night dinners, study Torah or travel to Israel with the Rabbi on Birthright, our lives were deeply touched. Those experiences have become a part of us. The friendships we made and the knowledge that we had a Jewish "home away from home" are memories we will always cherish. Because of our appreciation of Chabad, we want to ensure that others will have the same experiences. When we were students at University of Illinois, it never crossed our minds to wonder how Chabad was funded. While Chabad Houses are similar all over the world, each is independent and responsible for raising their own funds. So, in addition to the phenomenal various programs that Rabbi Dovid and Goldie arrange, they also are responsible to raise the $750,000 annual budget necessary to run Chabad at University of Illinois. We as alumni have the power and means to make a meaningful impact on the success of Chabad at University of Illinois. Joining the Chai Club means commiting yourself to a recurring donation of only $18 every month. $18 is less than 2 movies a month, or three drinks in a bar! Imagine – if we reach 100 alumni who give $18.00 a month, $21,600 could be raised. As you work your way up in the business or professional world, your financial support is important and critical to ensure the future success of Chabad at University of Illinois. Chabad touched your life; now help them make a difference in other Jewish students' lives as well. Chabad at University of Illinois Alumni Chai Club provides an opportunity for us to stay in touch, share news through a bi-annual newsletter, and participate in reunions. We look forward to your participation in our Chabad alumni events. May you find success and happiness wherever the road takes you, but remember that you have a home away from home at Chabad at University of Illinois!